Caribou - James (Jim) Henry O’Neal, 82, died peacefully on Saturday, June 23, 2018, reuniting with his sweetheart, Kathy Gallagher. Jim was born on November 2, 1935, in California Settlement, New Brunswick, the son of the late John and Letha (Kinney) O’Neal. Jim served in the United States Navy for six years, then moved to Connecticut, where he worked in construction. He eventually moved to Limestone where he formed the foundations that would shape the rest of his life. Over the years Jim ran many successful businesses; he ran a paving company in Limestone for many years as well a leasing business where he provided school buses to the Limestone Schools. Jim also owned and operated East Gate Grocery in Limestone for several years. Jim then moved to Florida and ran a trucking company with his love Kathy. Upon his return to Caribou, he enjoyed his time with Kathy and his family. 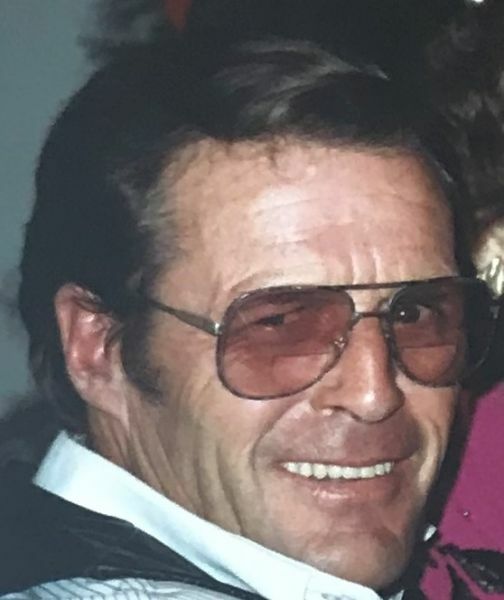 You would often find Jim sitting alongside his love on their porch enjoying a story and the sunshine or in his beloved recliner watching one of his favorite Westerns. Jim especially enjoyed his grandchildren visiting and having special family gatherings. Jim is survived by his children: Sandy & James Albair, of Cross Lake, Johnny Gallagher and Penny & Jon Wickstrom of Caribou, four grandchildren, Lance & Lori Albair of Woodland, Katelyn & Alex Brombacher of Caribou, Kyle Wickstrom of Ellington, CT. and Nicole Wickstrom of Portland. Two great-grandchildren, Ethan and Landan Albair of Woodland, a brother, and his wife, John and Sharon O’Neal of Argyle, and several nieces and nephews. Jim was predeceased by the love of his life, Kathleen Gallagher, one brother Vernon O’Neal and one sister Irma Wright. Friends may visit with the family at the Mockler Funeral Home, 24 Reservoir Street, Caribou on Saturday, July 7, 2018 from 11:00 am to 1:00 pm. Graveside service will be held at Fairview Cemetery, Perham.